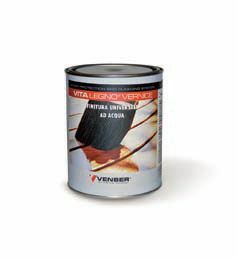 Water flatting, trasparent and opaque varnish for interiors and exteriors, UV ray and yellowing resistant product. For any kind of wood, for interiors and exteriors, walls and floors. It creates a very strong protecting barrier, it does not leave sticky traces, it neither absorbes water nor creates marks with rain. Odourless, it is the ideal product for interiors.